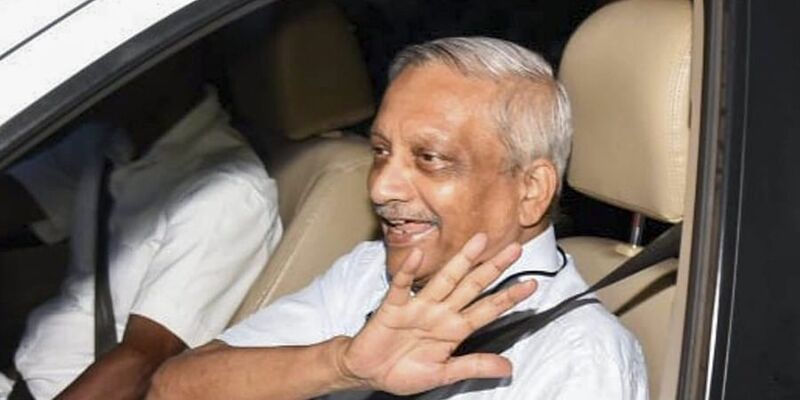 Congress leaders Pawan Khera and Goa PCC chief Girish Chodankar claimed that the BJP is not removing Parrikar from the CM's post fearing that he might spill the beans on the Rafale fighter jet deal. The opposition party alleged that the BJP "usurped" power in Goa through the back door. "People of Goa had given the mandate to the Congress. Governor Mridula Sinha should listen to the voice of people of Goa and opposition parties and allow us to prove our numbers on the floor of the House." He claimed the Congress has a majority in Goa and added that "Goans deserve a full-time chief minister and to ensure democracy and constitutional functioning, a floor test is imperative". At the same time, he added: "no constitutional morality can be expected from Prime Minister Narendra Modi and BJP chief Amit Shah because they are drunk with power". Khera alleged that the "state is headless, governance is paralyzed, the administration is crippled, there is a complete breakdown of authority, rule of law has collapsed, people are feeling cheated with absolutely no policy and direction and Goa is in chaos". In the 40-member state assembly, the Parrikar government has the support of 23 MLAs. These comprise 14 BJP MLAs, three each from the Goa Forward Party and MGP as well as three Independents. The opposition Congress is the single largest party in the Goa assembly with 16 MLAs.